At the end of August 2000 I visited the World Trade Center and the Twin Towers with my wife. I wanted to show my people back home the Twin Towers and the view on top at 417 metres. As a memory of the 9/11 2001 events I show this movie on the internet. From 14 till 23 march 2008 I made a trip to Arizona. Together with my son Jasper I went to the Grand Canyon and Monument Valley to make some photos. This was I live time wish, which came now into realisation. We had great weather with a lot of sun and beautiful sunsets. I focust on making panorma pictures in this landscape. Download Java-software to see them inscreen. The estate of Frank Lloyd Wright in Scottsdale (AZ) is still a school for talented architects. You can make here a guided tour and see the offices, living quarters of the famous architect. From here you have a nice view over Scottsdale and Phoenix. You can meet 100 of the finest artist in the country, watch them work and share in ther creative process at the 19th Annual Celebration of Fine Art. I had a great time talking to the painters Sue Averell, Melissa Behr, Keith A. Dagley, James Randle, Jerome Grimmer and others. Photographer Kevin Dyer gave me some tips for my travel to the Grand Canyons. Thank you all for giving me such a good time. Please visit www.celebrateart.com for more information. The air and space museum in Tucson is a must to see. 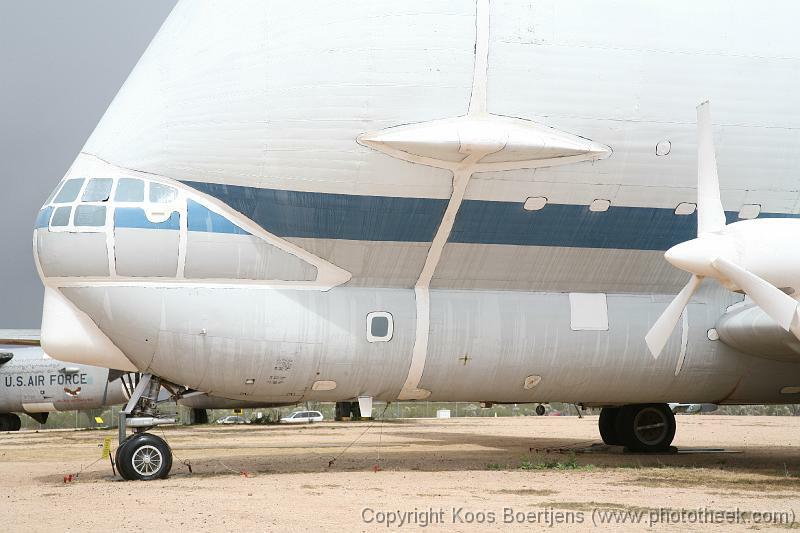 You can visit the airforce one of President John F. Kennedy and see the 'Guppy' the large transport aircraft of Nasa. Hundreds of planes are parked and to be seen. There is a hangar dedicated to space technology with lots of information about the landing on Mars. The air operations of the 390th bombardment group in World War II you can see in hangar 4. "Never in the field of human conflict was so much owed by so many to so few" Churchill. In the middle of the desert between Kayenta and Tuba City we discovered the place where dinosaur tracks are found. This place was 150 million years ago a beach. The gigant animals were surprised by the eruption of a nearby vulcano. Their footprints were sealed in the ashes and can be seen till the present day. In this time of year it's great fun to ride a motorbike in Arizona. The climate is moderate and the roads are practical empty. We saw a group from Germany. In Flagstaff is a motordealer where you can rent a motorbike. 'Get your kicks on Route 66'. Near Payson we discoverd an old German mr Adler keeping thousands of bicycles, cars, motorcycles and 'mopets'. Mr. Adler gave us a nice tour over the graveyard. We saw cars used in the movies 'Bonny and Clyde' and 'the Godfather'. It was a surrealistic place. Notice the picture of the 'Kartein Mobylette' with an insurance plate from 1966!